The NGS CF Control Panel G211 v1.1 is intended for in vitro use as a quality control to monitor the analytical performance of library preparation, sequencing and data analysis associated with Next Generation Sequencing for identifying variants within the CFTR gene. 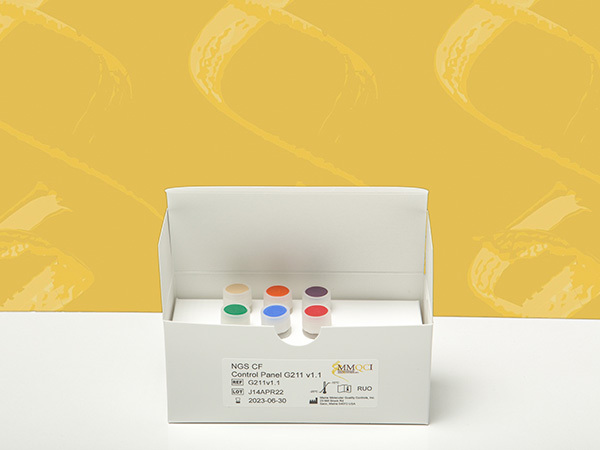 Additionally, because the NGS CF Control Panel G211 v1.1 carries multipleinsertions, deletions and homopolymers of varying lengths and composition, this control panel can also serve as a method control to monitor the ability of any NGS test system to correctly identify these types of variants. Appropriate primers are required to amplify the areas of interest.